Kate Lewis is a Grenadian politician and Parliamentary Secretary. 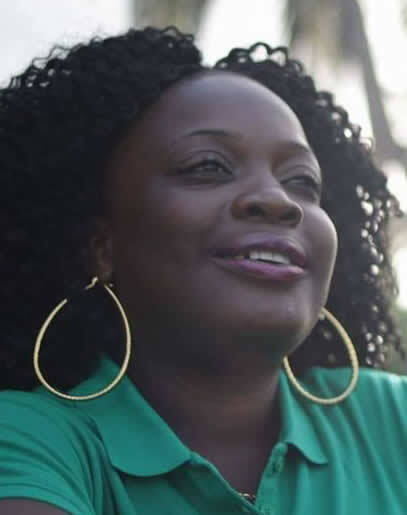 Kate Lewis holds a bachelor’s degree in accounting with first class honors from the University of the West Indies, and associate degrees in Social Sciences and Teacher Education. Lewis has been a teacher since 2000 – first at the Holy Innocents School, then the St Andrew’s Primary School and up until recently the St Joseph’s Convent, St Andrew’s. At the Convent, Lewis has also been a volunteer teacher for the Junior Achievement Programme for the last decade, helping students win six Company of the Year titles. She also led Grenadian students in worldwide competitions in Argentina, Uruguay, Mexico and Jamaica. In August 2016, Lewis was announced as the New National Party’s (NNP) caretaker for St Andrew’s North East, the constituency of the retiring MP and General Secretary Roland Bhola. On 1 September 2017, Lewis was appointed Parliamentary Secretary in the Ministry of Education and Human Resource Development in the Keith Mitchell Administration. Skeeter-Lewis is contesting the St. Andrew North East seat for the New National Party (NNP) in the 2018 General Election.